Churchill, however, didn’t let his failure to win reelection stop him. He would overcome failure by later running for Prime Minister again when he was 77… and he won! Another person who would overcome failure was P.T Barnum. 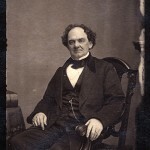 Barnum, who by the way never said, “There’s a sucker born every minute”, but he did state that much of his success was due to his ability to always look at the bright side of life. And even though a bad investment left him penniless and forced him into bankruptcy, he came back swinging, paid back his creditors and returned to prosperity, and in his 60’s, he gave us the circus. 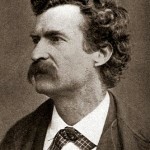 Mark Twain was also forced into bankruptcy. A bankruptcy that his biographers said would have crushed almost any man – but it didn’t crush Twain. He went back on tour with his one man show – he abhorred touring – and eventually, like Barnum, paid back his creditors in full and returned to prosperity. These men looked at failure as an event. It wasn’t a definition of who they were; it was a definition of an event that happened in their life. They followed 3 principles that you can follow should you ever face failure. Number 1: Don’t make excuses. Don’t be like the people who like to sit and wallow in their bad fortune. It’s called a pity party and that’s a party of which no one wants to attend. Yes, failing can be painful, but pain is sometimes necessary, suffering is always an option. Number 2: Learn all you can from it. Examine what went wrong. Be honest with yourself and don’t point the finger of blame at someone, or something else. Remember that whenever you point a finger there are always three fingers pointing back at you. Number 3: Don’t make the same mistake twice. After you have discovered what went wrong, draw a line in the sand and try and make sure that you don’t make the same mistake again. You learned what you need to do or not to do and now it’s time to move on. Put the event behind you and your new information in front of you. 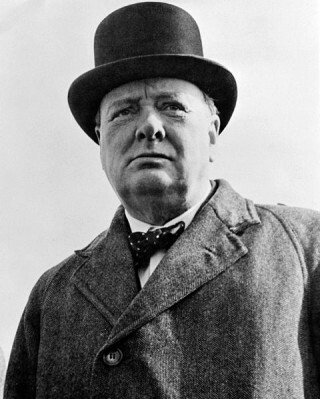 Churchill was also known for another famous saying that he gave as a commencement speech for a university. 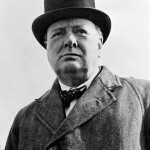 After a wonderful introduction, Churchill got up from his chair, looked out at the crowd of young faces and said, “Never, never, never, never give up.” And then he sat back down. Short, sweet and to the point, and yet, incredibly true. Never let failure make you give up. Bob Garner had to overcome failure many times… but he did it. Today, he is a successful entrepreneur, author and one of the top funny motivational speakers in the corporate market. ©2015Bob Garner. All Rights Reserved. You may use this article, but you must use the byline and author resource. Contact Bob Garner at http://www.bobgarneronline.com. All images are in Public Domain.